Gustav Möller’s “The Guilty” is a devastating drama, where the scarcity of tools used to tell the story excavates its true worth. 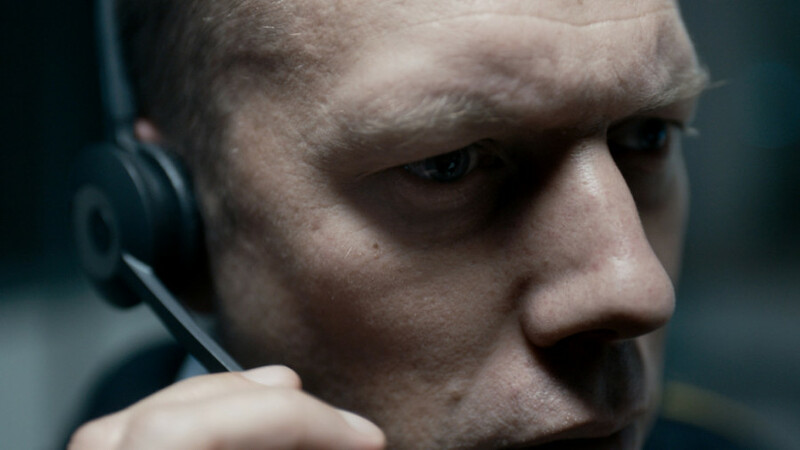 “The Guilty” tells the story of Asger Holm (Jakob Cedregren) – a police officer currently assigned to work at the alarm dispatch center. His shift is about to end, but ra call from a kidnapped woman keeps the man occupied. Soon, a race against time begins as the story unravels and Asger gets involved. A vast majority of cop dramas tend to exert cruelty on their protagonists. Usually these detectives are wrecked, drowning their sorrowful existences in alcohol, loneliness, drug abuse or other miscellaneous forms of self-destruction. At the same time, these “burn-outs” are given a likeable trait (or more than one), proving them to be more than just black-or-white silhouettes of characters and rather robust, cinematic creations. The protagonist of “The Guilty”, however, is not “fully sketched” until the very end scene of the film. He’s a form that Möller redesigns by every twist triggering Asger to reveal a part of himself. The reason for that is the clever, cunning way in which the Danish thriller is structured narrative-wise. Asger’s a puzzle, slowly but consonantly put together. At the beginning, the director & screenwriter Gustav Möller paints him as a slightly ironic, a bit hot-headed even police officer, who seems to be hugely misplaced at the desk with a pair of headphones. But as the story progresses, Asger becomes fuller and richer as a character. It’s only right to applaud Jakob Cedergren for his profound performance here. The bone-deep tension pulsating so hard that like a virus it spreads onto the audience, is mostly his own work. There are layers to Asger brought by each plot twist and each slight detail revealed by Möller’s agile direction. Cedergren immerses in Asger entirely, finds moments of patience, of waiting and silence to be his vital allies. In a very confined surroundings, he bathes in the attention given. Setting aside Cedergren’s marvelous performance, it’s Möller who controls the buttons in “The Guilty”. His direction is flawless, because of how well-managed this frantic story is. There is time to unveil secrets and unveil who is guilty. All the pieces come together and create a picture of hopelessness, fueled by the running-out time. Just like Christopher Nolan did in “Dunkirk“, the Danish filmmaker also uses time in his favor, allowing it to naturally pump up the palpable tension. Having said all of that, there is one thing that elevates “The Guilty” to the level of “beyond a gripping thriller”. As Asger throws himself into the race, there are moments of complete, overwhelming silence, taking place in between the calls. In this feverish avalanche of dial tones, over-the-phone conversations and intricately built sound design, Möller finds space to squeeze Asger in a hermetic room, fill it with silence that paws him and observe as it bends and arches the protagonist. In the end, although Asger is willing to sacrifice a lot to help, his role is to sit powerless in a dark room. There is unfathomable power in these scenes. The uncomfortable zooms, glimpses of tumbling fingers, of squeezed fist in a dark room – they all resonate with more meaning than any words spoken. 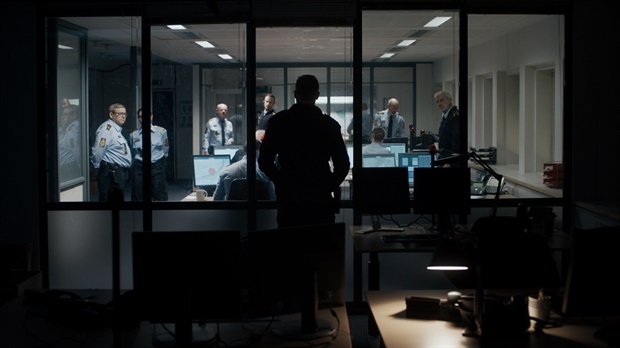 In a few plot twists, two rooms and one great actor, Gustav Möller tells a cop drama so heavy and deep you wish to unsee it just to have the possibility of experiencing it again.